Frank Hammarin submitted this photo. This year was the first DCI World Championship Finals that I have ever been to. The experience was amazing. 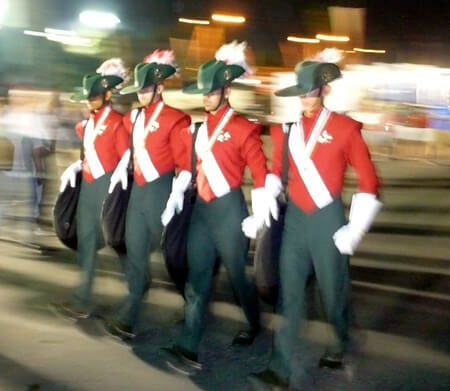 To cap off the Semifinals night, my friends and I were leaving the stadium and saw the Santa Clara Vanguard cymbal line leaving as well, so I snapped a picture. The photo seems to capture the aura around them as they march out.